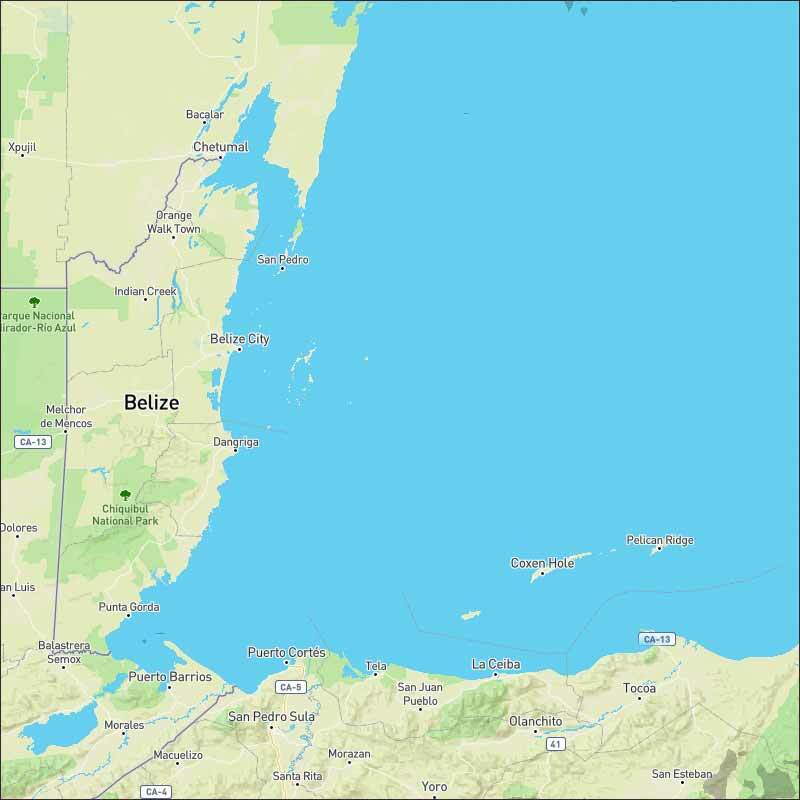 Belize NMS: Generally fair conditions continue to dominate our weather. 24-hour forecast: Mostly sunny skies today and partly cloudy skies tonight. Little or no rainfall is expected. General Outlook: For Tuesday and Tuesday night is for continuing mainly fair weather with only isolated showers developing. Today E 10-20 kts Choppy 3-5 ft LITTLE OR NO RAINFALL. Tonight E-NE 5-15 kts Light Chop 2-4 ft LITTLE OR NO RAINFALL. Tomorrow E-NE 5-15 kts Light Chop 2-4 ft ISOLATED SHOWERS. Outlook E-NE 5-15 kts Light Chop 2-4 ft ISOLATED SHOWERS. Scattered showers are moving W with the tradewinds over the eastern and central Caribbean E of 80W, to include Puerto Rico, Hispaniola, and E Cuba. These showers are being enhanced by upper level diffluence E of a sharp upper level trough over the NW Caribbean. Elsewhere, scattered showers are inland over Central America from Nicaragua to W Panama. Fresh to locally strong trade winds will prevail across the south-central Caribbean through Wed, then increase in areal coverage across the central Caribbean Thu. Easterly swell will prevail across tropical Atlantic waters through Wed before subsiding. A cold front will enter the NW Caribbean Wed. The front will stall from the Windward passage to E Honduras Thu, then weaken Thu night. 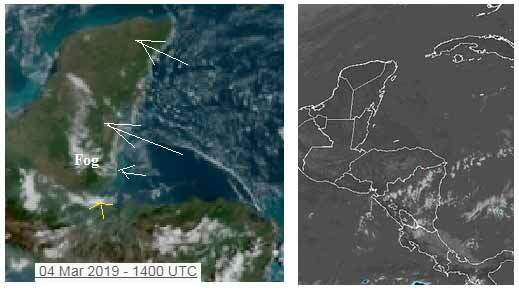 Near gale force winds are expected along the coast of Colombia Tue night and Wed night, then gale force winds will be possible near the coast of Colombia Thu night and Fri night. 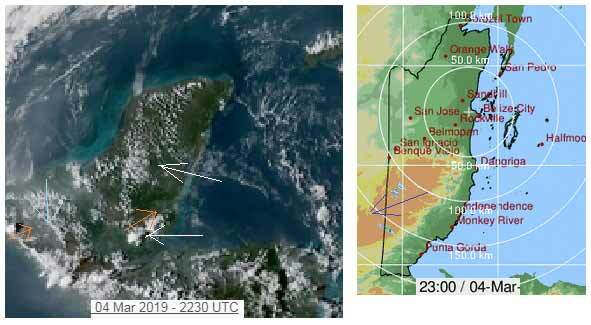 The Caribbean winds coming from the ESE forming a line clear skies over the sea sheltered by the Honduras mountains. 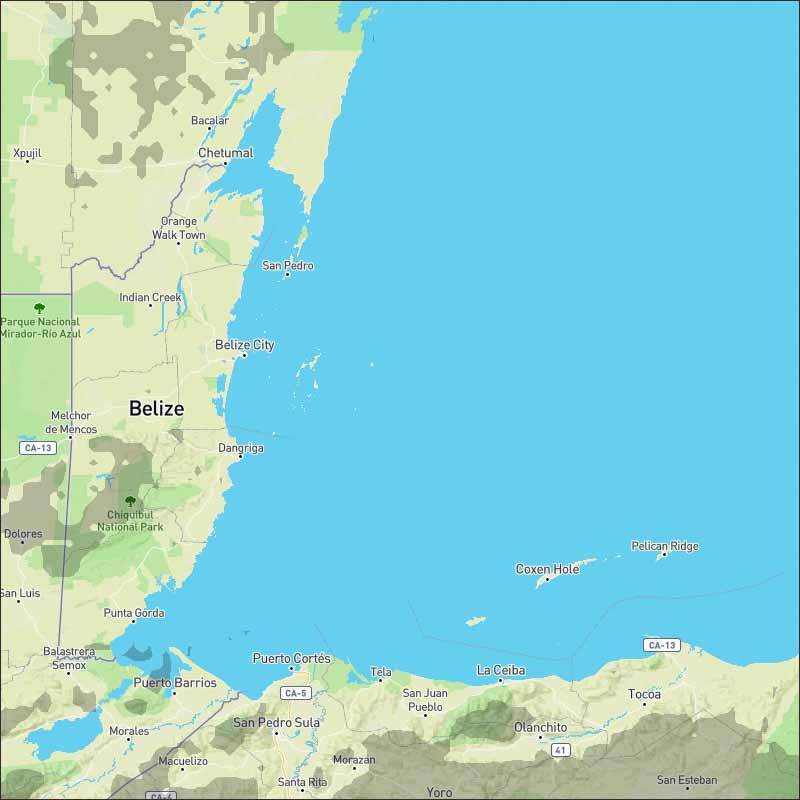 Cloud now forming over Belize, but no rain expected. 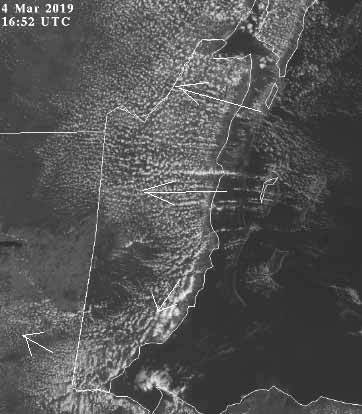 Looks like another sunny day with clouds building this morning, no rain expected. There has been some weather come down over the Gulf from the north, but only really effecting southern Mexico. There is a little high level SW cloud clashing with the Caribbean air over the Belize mountains and into Guatamala causing a few rain showers. It does look as f the weather is getting a little less steady, and we might see some rain over the next few days. Generally, it looks as if tomorrow Tuesday, will be fairly similar to today, sunny with clouds building during the morning.